The Thrift Shop is open Tuesday through Friday from 9:30 a.m. to 2:00 p.m.
Consignments are accepted from 9:30 a.m. to 11:45 a.m. ONLY. © 2013 Academy Spouses' Club. All rights reserved. 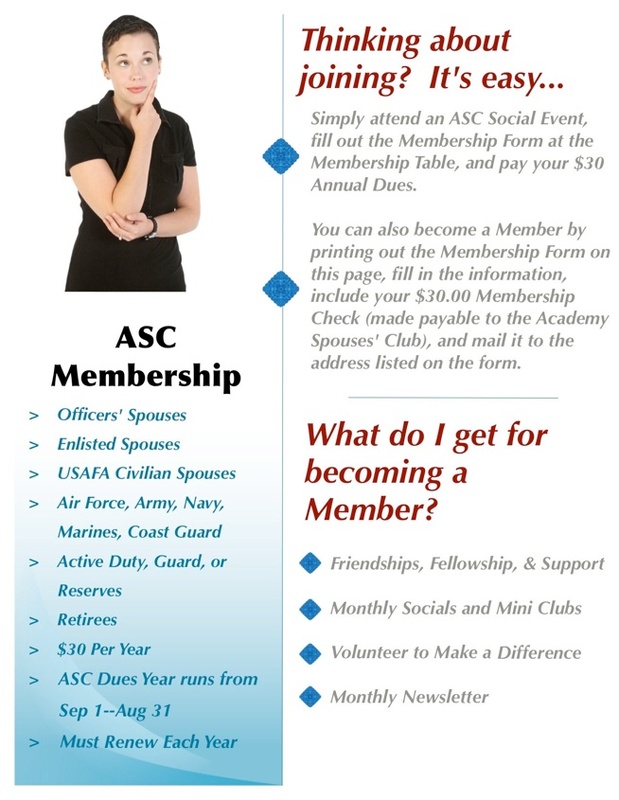 Academy Spouses’ Club is a non-profit, 501(C)-3 organization. The ASC is a private organization, not part of the Department of Defense or any of its components, and has no governmental status. AFI 34-233.